Summit: 5,784 feet[om_gmap zoom=”11″ lat=”47.4287″ lng=”-121.4134″ ]Getting there:Drive I-90 to exit 52 (Snoqualmie Summit West). Turn north and go under the freeway. 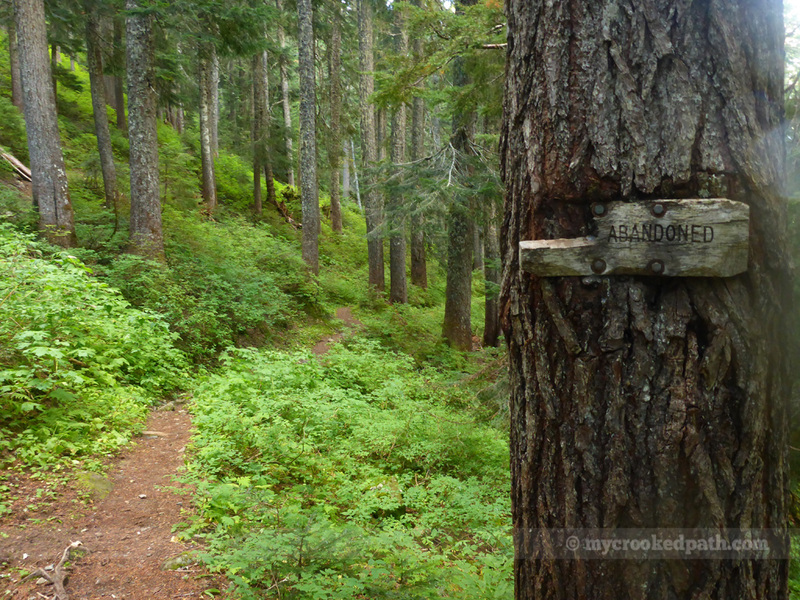 Take the first right to the parking lot for the Pacific Crest Trail. The Kendall Katwalk has been on my radar for a long time. After seeing numerous pictures and hearing about its scary and treacherous crossings, I finally had to make the journey and check what it was all about. We arrived at the trailhead on Labor Day 2013 and were surprised that it wasn’t completely overflowing with cars. 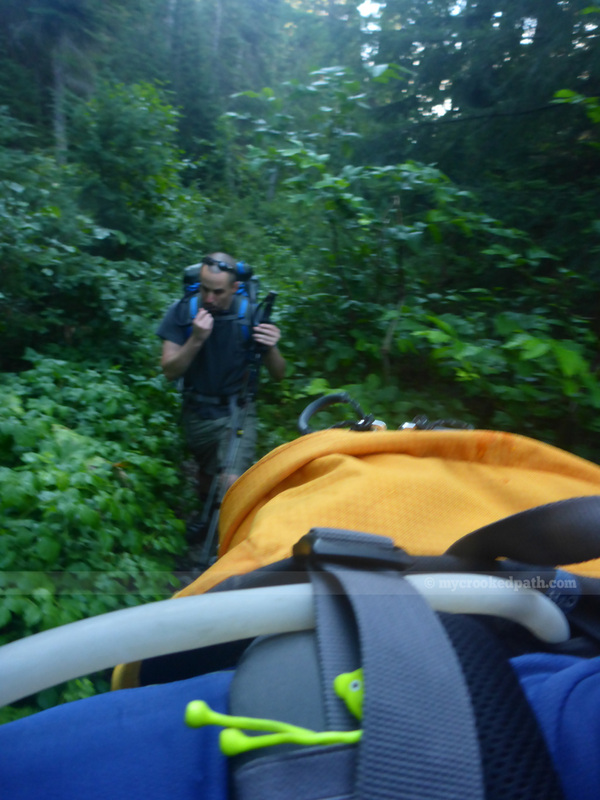 We quickly geared up and headed off down the Pacific Crest Trail. I had read some beta on the drive up suggesting an alternate route that sounded promising, so after hiking approximately 500 feet from the trailhead, we took a little detour. 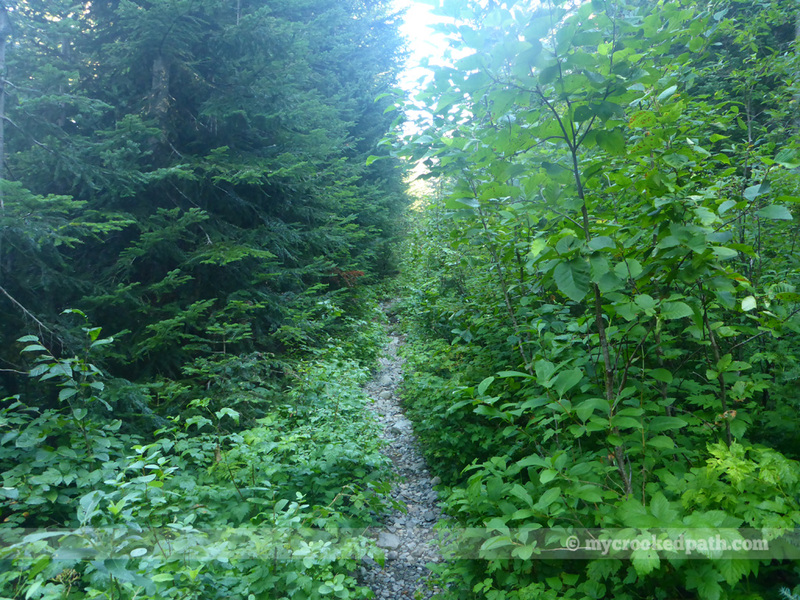 Our “detour” is actually the old abandoned Cascade Crest Trail, and, for being abandoned, it was in pretty great shape. Once we linked back up to the PCT, the going went pretty quick. I stopped to snag a geocache that turned out to be a little farther off-trail than I had anticipated and resulted in a nice scramble over a bunch of fallen logs. Just as I was about to rejoin the trail, I realized I had left my trekking poles at the cache. So back up the hill and over the logs I went. We made it to the Katwalk and, while the view was beautiful, I was a little underwhelmed. All the stories of how narrow the path was across the Katwalk made it seem like one false step would send you plummeting to your death. The Katwalk is actually quite wide, and you can comfortably pass oncoming traffic with little fear of your life. Oh well. After a brief rest at the Katwalk, we decided to bag nearby Kendall Peak. Back down the trail we went until we found the climber’s path up. A short climb later we made it to the summit of Kendall Peak, 5,784 feet. I loved your photography. Totally amazing! I am glad you posted them. I would never be able to hike to Kendall’s catwalk as it would be too scary for me. I am thankful I got to see it on my computer! Hi, I had a question about your trip. 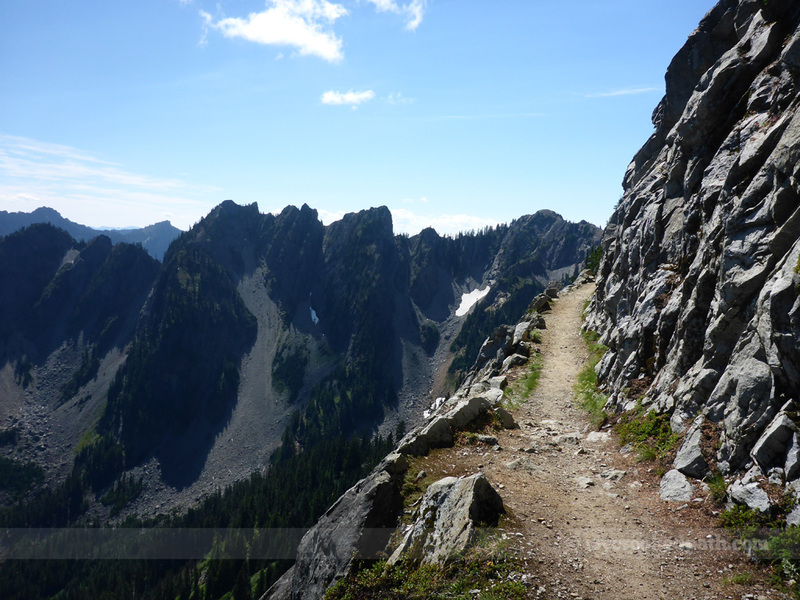 I am planning on this hike this summer, Aug 24th-ish. I was curious how many PTC hikers you encountered? Were camp sites full? I am concerned with the amount of traffic this area will get during this time… Thoughts?